When businesses are growing successfully, there are times when unexpected “enemies” try to pull “that” success down. The enemies (sometimes dressed in formal attire) do not only target the business itself. They go to the most vulnerable target and that is the customers. Once the adversary is successful, the hard work invested in that business becomes futile, and the worse part is having a stained reputation that no one can ever trust. One of the worst enemies in any business is scam or a way of getting money by deceiving the consumers. And, real estate is not excluded from the hands of those scammers who try to sell or buy a property illegally. In fact, the problem (scam) has not fully subsided especially now that modern technology greatly helps in deceiving the clients. It can be complicated to see or figure out whether the opportunity is legitimate or not. However, it is advantageous to seek and work with a real estate agent with an impressive background on the business. That way , scams can easily be avoided. Or perhaps, a better idea is to get to know what are those kinds of scams (whether you are the buyer or seller) and the ways on how to avoid such deceitful acts of getting money. Most likely, people who do scams invite you to attend a seminar to make it seem that they are sincere. They tell you that it’s for free and try to lure you with their freebies and gifts when you agree to attend. But, don’t be an easy catch. Once you get to their “seminar”, you are not given those freebies unless you purchase their tickets to another seminar. It is not a problem if you do have a lot of money in your pocket, but the problem is the money you wasted in a seminar which does not even given insightful and in-depth ideas in real estate. This may be the most common real estate scam. It is also an upsetting scenario among all the parties involved. In this situation, the swindlers find and rent homes that are left by the homeowners (vacation or work) for a certain period of time. While the homeowners are away, the swindlers pretend to be the owners and post the property (as something to be rent or sold) on any home online listing. They change whatever that is needed to be changed and even go further like forging documents in which the renter or buyer signs. Once the money is given to the swindler, the scam in now discovered leaving the real homeowners and the supposed-renter in a difficult situation. If you happen to rent a house or apartment via online, always be careful. Be on guard if you are asked to give the “rental fees” before the personal meet-up and contract signing; if they tell you that they are in another country and can’t show up; or if they ask you to give the money to their “lawyer”. 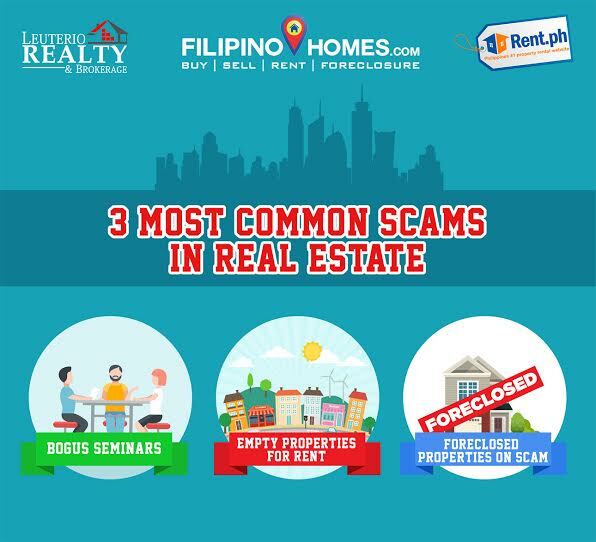 These are signs of the rental scam online that you have need to watch out for. Don’t just agree on anything without even seeing the person yet. Be wary. Be sensitive. Properties that are about to be taken back because they were not completely paid for are used to deceive the clients. 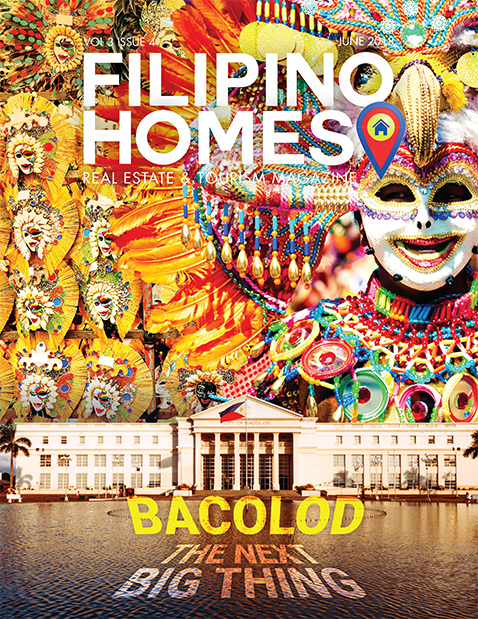 Sometimes, the homeowners themselves are the swindlers who get away with their modus operandi. How is this done? Easy. The owners decide on letting someone rent the property without telling them about the foreclosure order. They take the rental fee and use it to get a new house in another place. When the property is already due to be taken away, the renter has no choice but to leave and look for another the place. In some cases, the bank allows the renter to stay in the house for three months to look for another place to live. To avoid this catastrophic event, do a background check on the property you are about to rent. If you suspect something weird, then trust your guts and look for a better and safer home to stay. By safer, it means legal and no loopholes. Scams are beautiful to look at. But remember, looks can be deceiving. Once you are caught in the hands of the swindlers, it is never going to be an easy way out on your part. Therefore, always use your initiative to do a little background check on the owner and the property, to ask for legal documents, and to verify everything through a lawyer or an government agency. Don’t ever give out the money without verifying anything. You can even ask the help of a real estate agent to make sure that everything is safe. Better safe than sorry. I decided to cancel my purchase, why can’t I get a refund?